This organic label loves nature, and we love their sustainable practices and gorgeous designs. Sui is doing comfortable clothes that are pretty-as-a-picture. Sui is a venture of Sue Mue, known for their generations of gorgeous bridal lehengas and saris, and they’ve brought their knack for attention to detail to the creations in this brand as well. Following the footsteps of fellow sustainable fashion houses, they’re using organic fabrics like hemp and organic cotton and they use azo-free dye. Vibing of a candy-heart kind of summer, their clothes are just what you need to look effortlessly stylish in the scorching heat. They've also got the nicest headbands, if you're following the trend. 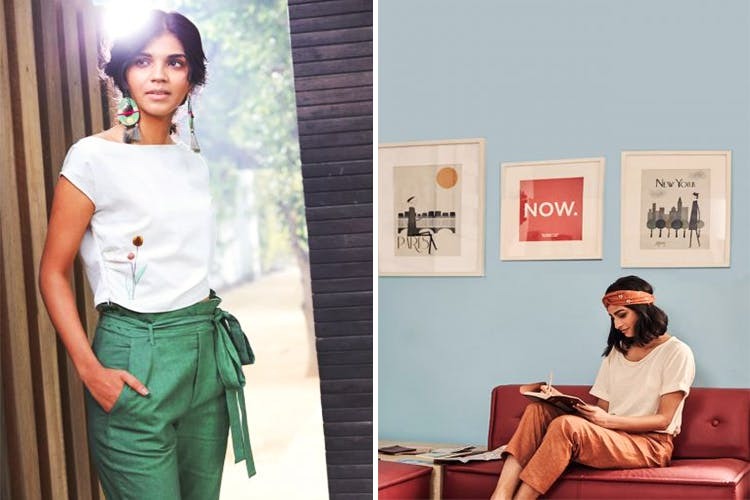 Comfortable pants that don’t stick to your calves, flowy tops with gathered sleeves, dresses and two-piece outfits that fall softly around you–their designs are minimal and elegant. Their latest collection is leaning towards fall, with lots of browns, oranges and greys. They’re perfect for work and great for travelling. It's priced on the higher side for even basic tops.